Pull up the blinds, push back the drapes on every window (unless the view or outdoor scenery is particularly undesirable). Turn on every light in the house, including appliance lights and closet lights. Washing the windows enhances the precious daylight hours. Clean out cobwebs and dust furniture, ceiling fan blades, and light fixtures. Check out our list to get your home shining in 30-days! 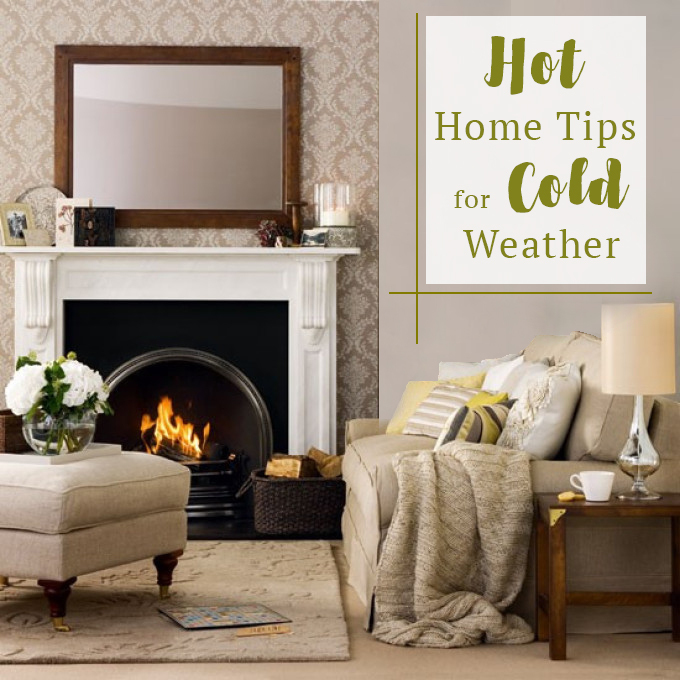 You want the temperature inside to be comfortable and to give buyers more incentive to linger, especially on a cold day. It's better to heat the house a degree or two warmer than usual and then set the temperature at normal; this prevents the heat from kicking on when the buyer is present. If you have a fireplace, light it up! A rubber mat by the front door and a container to hold wet umbrellas and shoes is a great idea to prevent soaking your entryway. Keep pathways salted and in the rare event it snows, shovel a path, including the sidewalk so buyers aren’t forced to crawl through snowdrifts! You want rooms to appear especially warm, cozy and inviting. Make your living room romantic by placing two champagne glasses near a champagne bucket on the coffee table; toss afghans or throws across the arms of your sofa. Dress your dining room table for a dinner for two. Have soft music playing throughout; light jazz or classical music is always soothing. Don't turn on a commercial radio station; instead stream your tunes from a computer or tablet, using iTunes or Spotify, so that your music will be continuous. Don’t forget to mute the ringers on telephones and answering machines. Many people are sensitive to certain perfumes, so don't spray the air or plug in air fresheners. Instead bake or reheat bread or cookies or warm up a pot of cinnamon on the stove. Keep to a decorations to a tasteful minimum. Don’t block or cover up important selling features like fireplace mantels, stairs or windows. Looking for a Real Estate Team with holiday sale experience? The Grant Gardner Team has cleaned, painted, staged, marketed and sold a home just 4 days before Christmas. We even set a new benchmark price for the area, selling the home $150,000 more than the listing price!